Last year, Shubman was picked up by the Knights at a whopping price of INR 1.80 crores. The last few days have presented Shubman Gill some pleasant surprises. He was called up to the Indian squad for the ODI and T20I series against New Zealand, set to get underway on Wednesday, January 23. The Fazilka-born came in as a replacement of KL Rahul, who has been provisionally suspended by the Committee of Administrators (CoA) following his comments on Koffee With Karan. For Shubman, it’s a golden opportunity to make a strong case for himself with the World Cup, scheduled to start on May 30 in England and Wales. With the Indian middle-order yet not in place, the 19-year-old would be hoping to impress in the limited-overs fixtures in New Zealand. 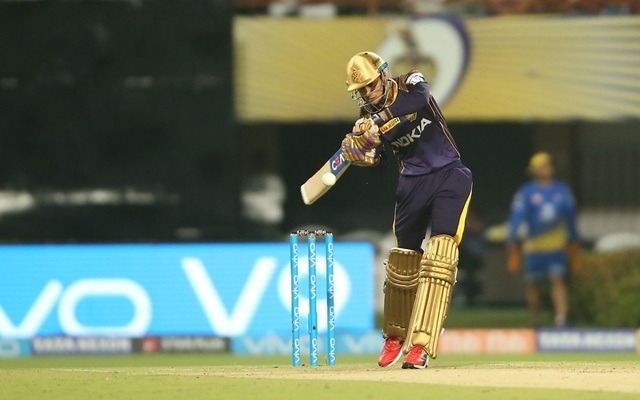 In the meantime, the Fazilka-born youngster was seen practising at the Kolkata Knight Riders (KKR) academy. He honed his skills under the supervision of the experienced Abhishek Nayar and Omkar Salvi. He was accompanied by the likes of Nitish Rana, who came into the Knights’ setup last year, and Shrikanth Mundhe, who was picked up at his base price of INR 20 lakhs in this year’s auction. The Knights official Twitter handle posted a picture of the practice session in the nets. After becoming the second highest run-scorer for India in the U19 World Cup in New Zealand, Shubman was picked up by the Knights at a whopping price of INR 1.80 crores. He didn’t play the first few matches but was eventually included. The right-handed batsman didn’t disappoint and scored 203 runs in 13 games at an average of 33.83 and with a top score of 57* against Chennai Super Kings (CSK).